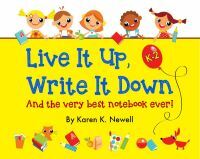 Teach to the heart with our literature based unit studies. 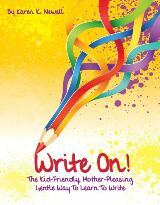 Chapter-by-chapter activities, vocabulary words, comprehension questions, literary elements, and so much more make these a great addition to your literature study. Join the quest of Bilbo and the thirteen dwarves as they attempt to reclaim Thorin's kingdom from the treacherous Smaug. Our Hobbit Unit Study will uncover much more than the hoard of stolen treasure. One of the greatest literary works of our time, The Fellowship of the Ring is the illumination of good and evil told as a quest by a master story-teller. 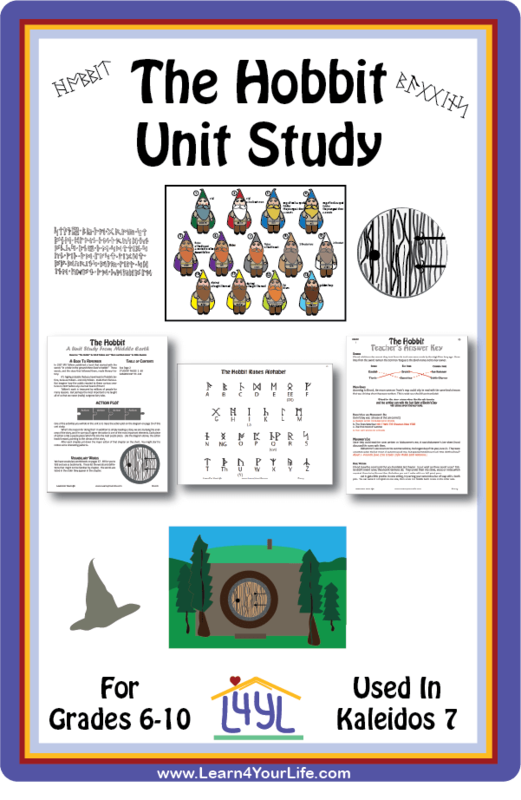 Our unit study helps adventure-loving readers uncover the themes, symbols, and even genre of Fellowship of the Ring, the first book in The Lord of the Rings triology. Make this next Christmas one you and your kids will remember with the help of Charles Dickens, his memorable characters, and our 84 page Christmas Carol literature unit study. An amazing story from history, Carry On, Mr. Bowditch shows how the perseverence of one person can overcome obstacles; for himself and countless others. Inspire your students to set high goals while enjoying this Newbery classic. Study the genre of historical fiction with In Freedom's Cause by G.A. Henty. 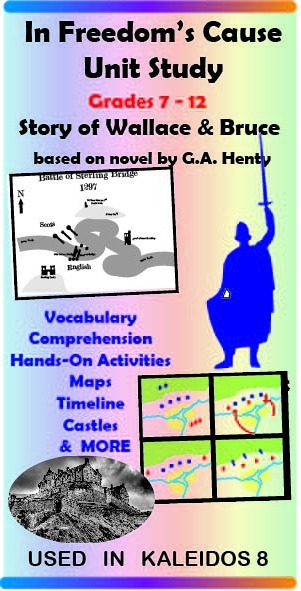 Our unit study considers how Henty bases his drama on true history while weaving literary elements in to create an action-packed story from 13th century Scotland. Middle School students will learn about the American Civil War and the complex issues facing the characters. Follow Jeff from the beginning of the war to the end as he joins the union side then changes sides as a spy and has to decide which side he truly agrees with. 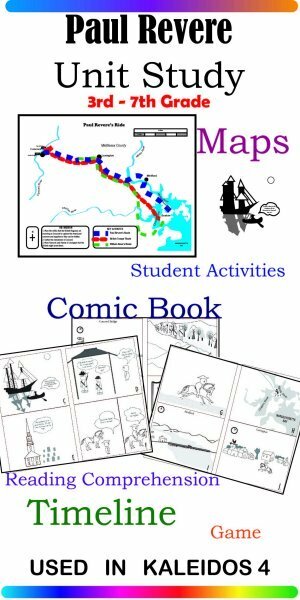 Your 3rd to 7th grade student will ride along on the exciting midnight ride in our Paul Revere Unit Study The 26 page download provides you with maps, a timeline, Longfellow's poem, a comic book, student activity pages, suggested audio-visuals, hands-on projects, reading comprehension quiz, and more. During the Nazi occupation of France, a rural Catholic school with twenty children takes in ten Jewish children to hide. What will the kids do when the Nazi soldiers come to the school? Twenty and Ten is great story for 4th and 5th graders. 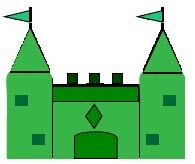 Use with our unit study handout and questions. Our 12 page unit study/worksheet will help your 2nd-5th graders enjoy and understand The Wind In the Willows by Kenneth Grahame as you follow the antics of the fickle Mr. Toad and his wiser companions. Here's a new idea to get early readers enthusiastically reading parts: twelve of the most popular of Aesop's Fables have been put into scripts. Students can read the parts, act out the parts, or put on a two-person puppet show. 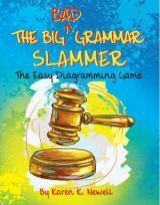 Each of the scripts reviews common but irregular words (such as thought, know, who and other 41 other tricky words.) 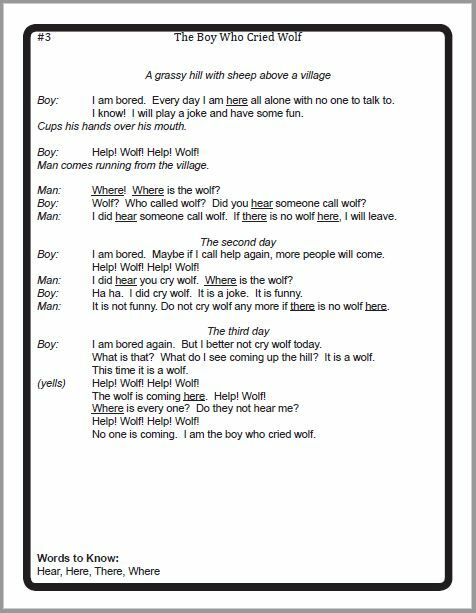 Free download of Aesop's Scripts are great for late second or early third grade readers. This literature based unit study of the Wizard of Oz will let your kids in 3rd to 6th grader join Dorothy as they head down the Yellow Brick Road and across the Land of Oz to find the great wizard. 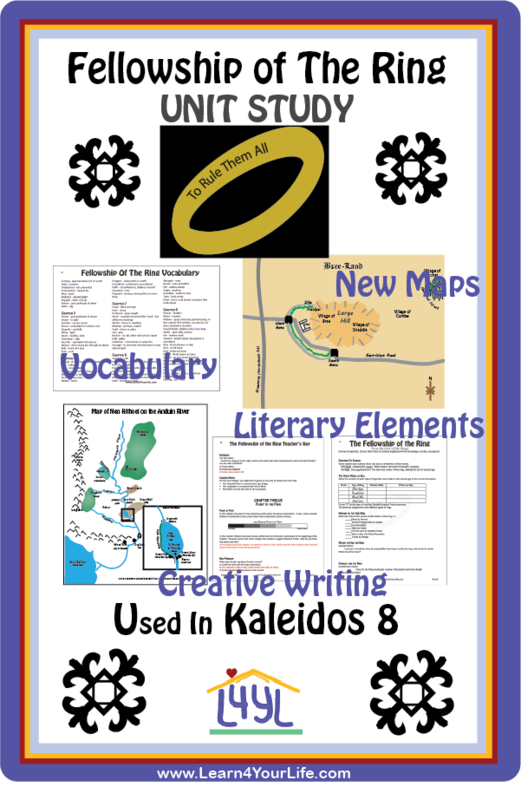 A variety of activities are provided to enrich the 24 chapters as your students map, color, discuss, and answer questions about L. Baum's mysterious land. Suggestions for other activities also included in the FREE printable students and teacher's guides. Your 3rd - 6th grade students will enjoy the hands-on activities with this unit study of Benjamin West and his Cat Grimalkin. Explore the boyhood of one of America's colonial painters and the Pennsylvania Quaker culture in which he grew. Discuss the moral dilemma Benjamin faced when he learned that his Quaker community disapproved on painting. 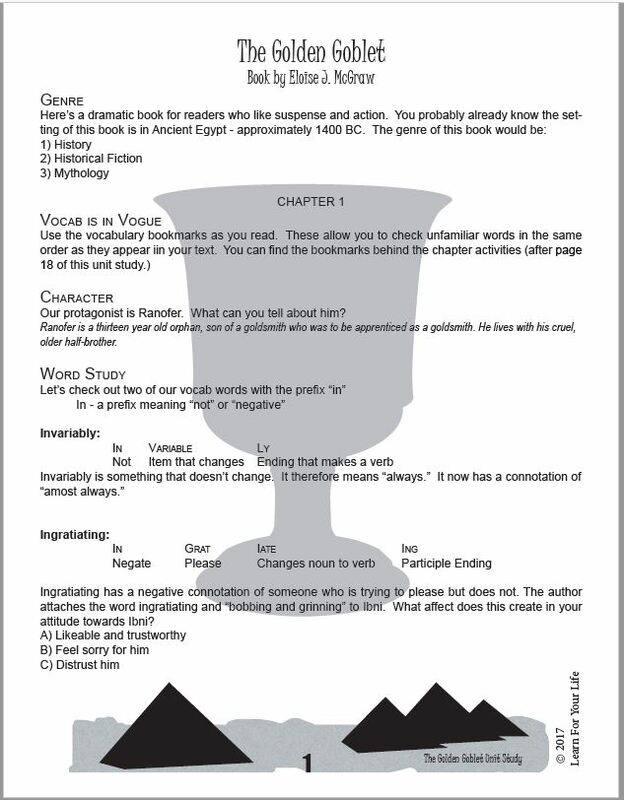 Dig up some ancient excitement with the Golden Goblet Unit Study. 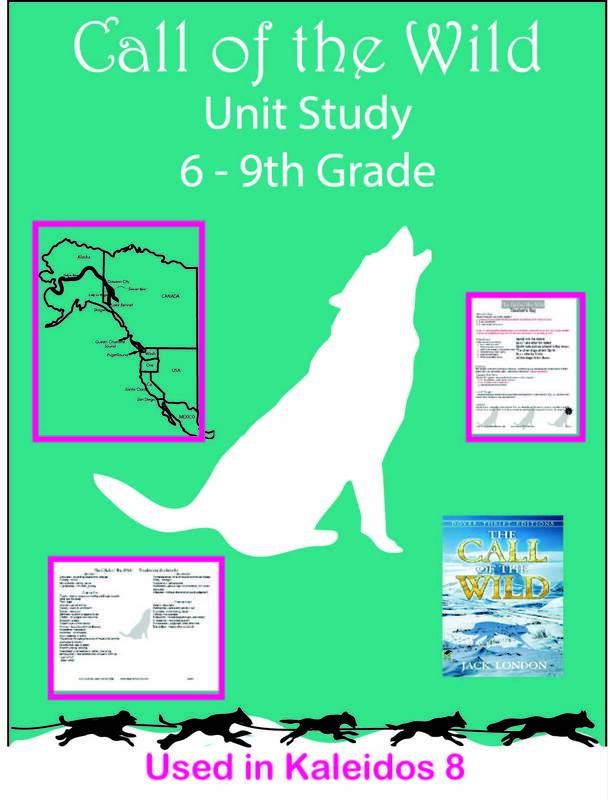 Your 6-8th grade students will cross the Nile River, hunt for stollen treasure, and escape the suspected thieves as they read the book by Eloise McGraw and participate in the unit study activities. 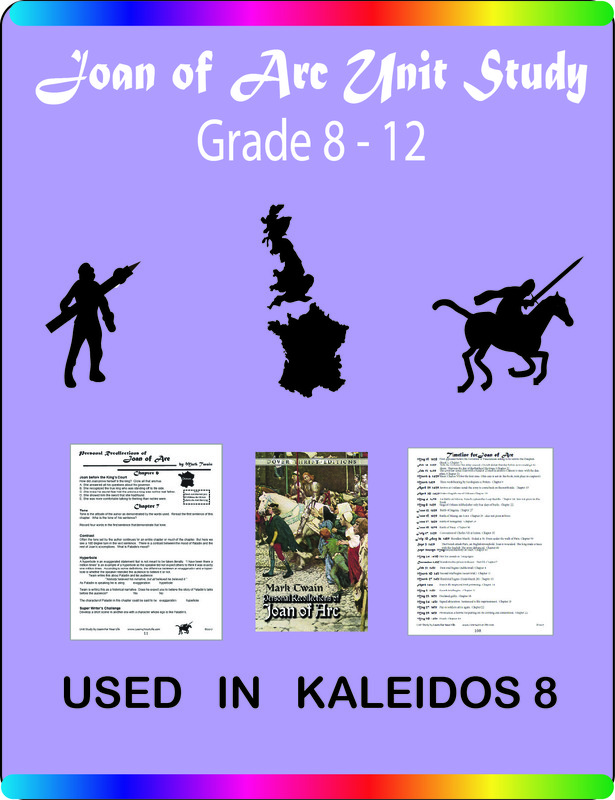 Open your 8th-12th grade students' world to history and literature with the Joan of Arc Unit Study. The well-written, fascinating account by Mark Twain introduces students not only to this enigmatic character from history, but the 13th century geo-political issues in France and England. 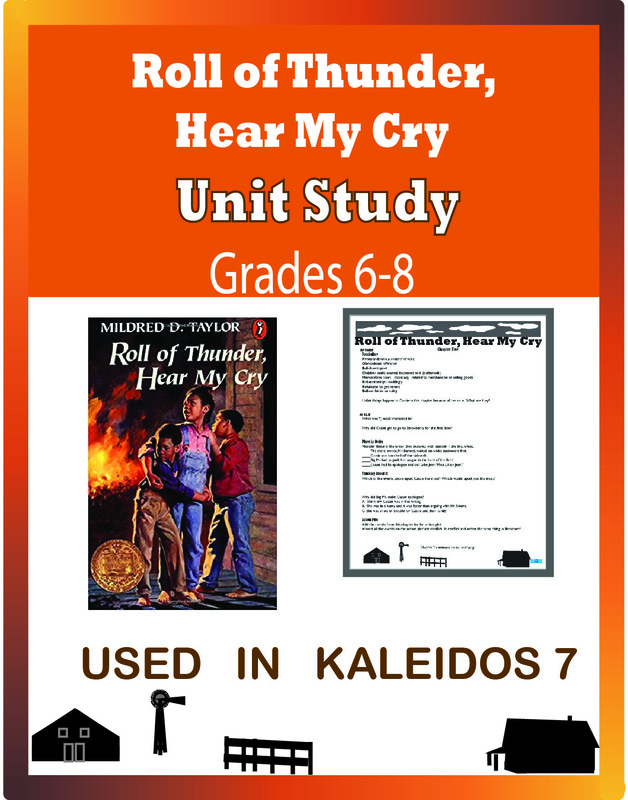 The Roll of Thunder, Hear My Cry unit study guides 6-8th grade students through the troubling racial issues facing Cassie Logan in Mississippi in the 1930's. Talk of burnings and lynchings are becoming more common in the community and the stories of the Night Riders fills Cassie with dread. When Mama is fired from her teaching job for teaching black history, it looks like the Logans will lose their land. But serious trouble comes to her house one night after a robbery in town. Janey's family travels from place to place as migrant workers in the Great Depression. All that is left of their former life and farm is her single treasure, a blue willow plate that had belonged to her mother she can't remember. When her family finds an abandoned shack, they move in and Janey hopes they will be able to stay. Is she willing to part with her prized plate in order to stay? 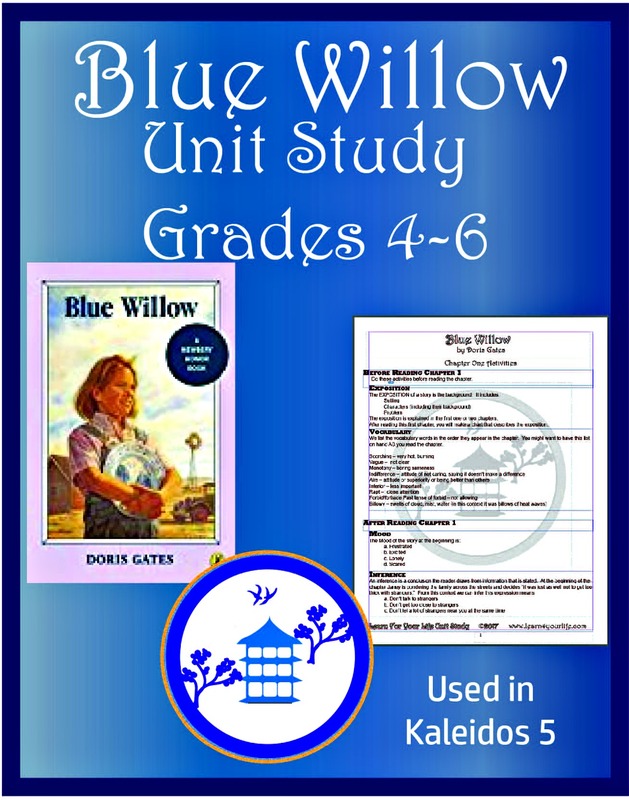 Read her story and introduce your 4th - 6th graders to basic elements of literature in our Blue Willow Unit Study. Jack London's famous tale of Buck, the beautiful Saint Bernard, who is stollen from his home to join a dog sled in the Klondike Gold Rush. The Call of the Wild tells how Buck's life changes from one of privilege to one ruled by men's whips and stronger dog's fangs. But Buck's strength and intelligence allow him to become a leader of the pack. Evolution and social darwinism are spread throughout the story, allowing students to discuss the strengths and weaknesses of the concept of the survival of the fittest in nature and society. A medieval tale of adventure, this Newbery classic is built around the legend of a Polish trummpeter from the 13th century. Our Trumpeter of Krakow Unit Study explores the role of history, legend and myth in this historical fiction tale as well as literature in general. Map of medieval Krakow enhances the unit for students. 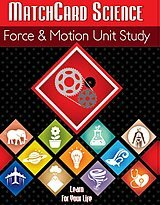 Here is a unit study that will make your animal lovers roar. 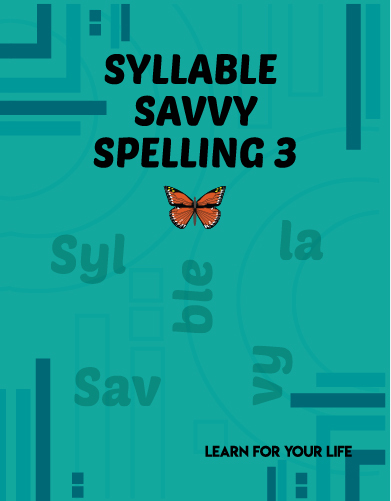 With the Jungle Book Unit Study your child will not only read and do activities with the well-known story of Mowgli, but they will also be introduced to other favorites of Rudyard Kipling. In addition to the story of the Indian boy raised by the pack, you will meet a mongoose, a white seal, and an wise old elephant. 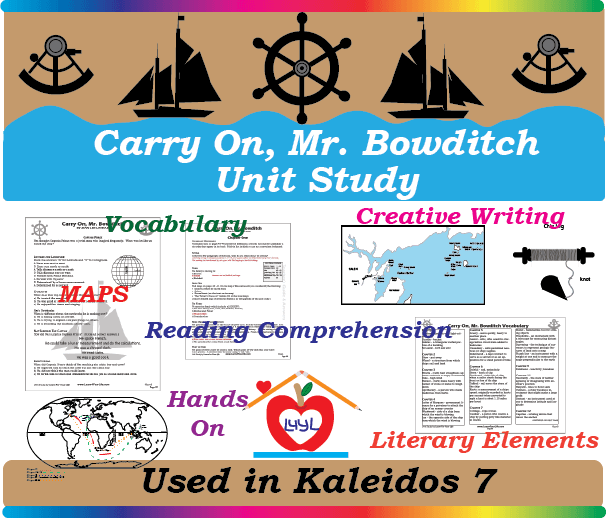 Your choice of a three day, four day, five day, or seven day unit study, depending on the stories you include in your unit. Its bold and dramatic look at the darkside of London shocked its Victorian reader's in its day. Today, the story of Oliver Twist still sparks the imagination and calls social norms into question. Follow the plight of the innocent Oliver ensnared by a network of scheming criminals. 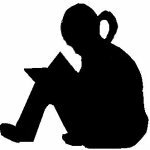 Our 108 page Oliver Twist Unit Study will keep readers engaged for 53 chapters. Join Marguerite, an orphan from France, as she adjusts to life on the harsh Maine coast in 1743. Temptuous weather, a family she doesn't know, and danger from the woods makes the winter long and uneasy. 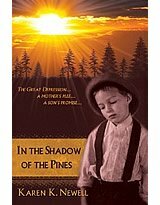 Enjoy this historical fiction book about the settling of America's coast while you and your kids do the Calico Bush Unit Study together. Four teenage sisters and their mother, Marmee, are left in their New England home as their father is off in the Civil War. 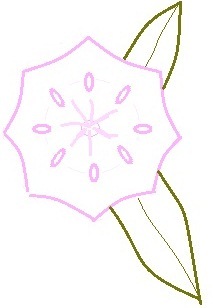 The second daughter, Jo, the main character, has great aspirations for her life including the plan to become a writer. Simultaneously, she desires that her sisters and mother remain exactly as they are now. 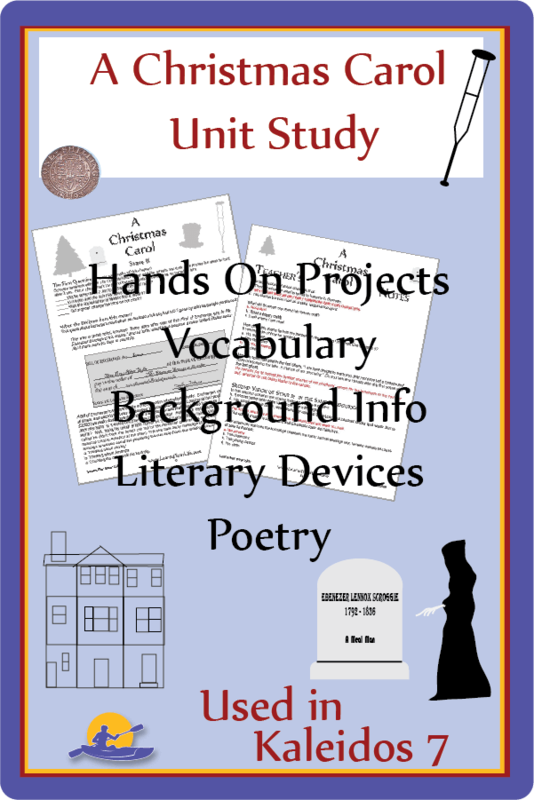 Use our Little Women writing activities and unit study ideas.